Lynas Foodservice has created 14 new jobs with the opening of its seventh store in a £1m investment. As well as being open to the public, the 5,800 sq ft outlet on the Boucher Road in Belfast offers a cash and carry service. Managing director Andrew Lynas said the company planned to expand further in Ireland and Scotland next year. "We have enjoyed rapid growth over the last number of years as part of our investment programme, which has included the launch of Lynas Scotland, the acquisition of a 10-acre site in Coleraine, a 10-acre site and warehouse in Co Dublin and a company rebrand," he added. 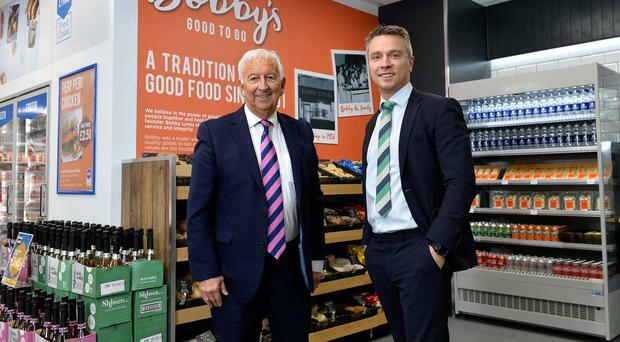 The firm recently started selling food under the Bobby's Good To Go brand - a tribute to company founder Bobby Lynas.